Laundering is one of the key processes in knitwear production. It is not just about cleaning but also for the dimensional stability and the hand feel of knitwear which are largely determined by the laundering process, including detergent applied and water quality. Ironing is another critical step. 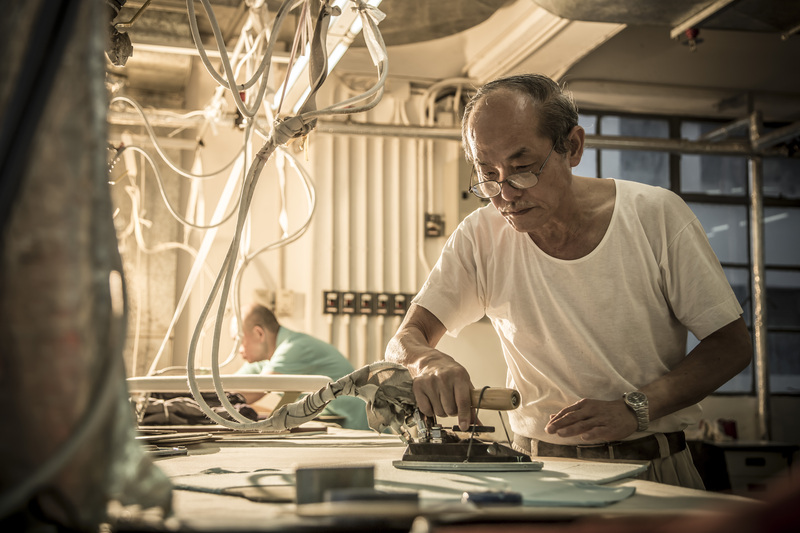 All of our ironing boards are hand-made by one of our very skillful artisans, Mr. Lin, who has over 40 years of experience in this industry. Knitwear may shrink and wrinkle after laundering. High pressure steam irons and ironing boards are used to remove creases or wrinkles and to press the knitwear to impart flat appearance, stipulated shape and right measurement in order to make sure our products are up to the standard. Check out our 100% made in Hong Kong extra-fine knitwear here! Place your order online before 30 September and you will enjoy FREE SHIPPING!